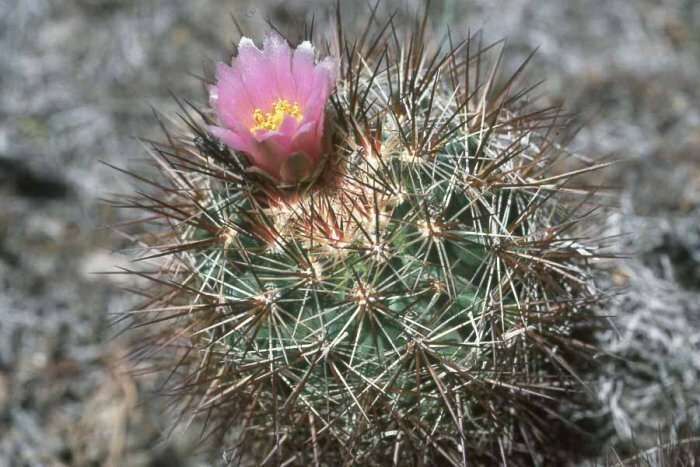 Basionym: Pediocactus simpsonii (Engelmann) Britton & Rose var. nigrispina Marshall nom. inval. Marshall & Bock, Cactaceae, 140, 1941. Type: Watson of 1868 in Herb.Mo.Bot.Gard., from the Humboldt Mountains of Nevada, Pershing Co. Lectotype: (Benson loc.cit. ): "Mountains of Nevada, 8,000-10,000 alt., from Run River eastward to the Humboldt Mountains. No.IV, Sereno Watson, of King´s Party, 40o lat., Mo." Note: on the basis of current knowledge, it´s clear that the type locality given is for 2 separate species. Therfore, Hochstätter deposited a new Holotype: Wallowa Mountains, NE Oregon, fieldnumber fh15, 20. July 1990, HGB. 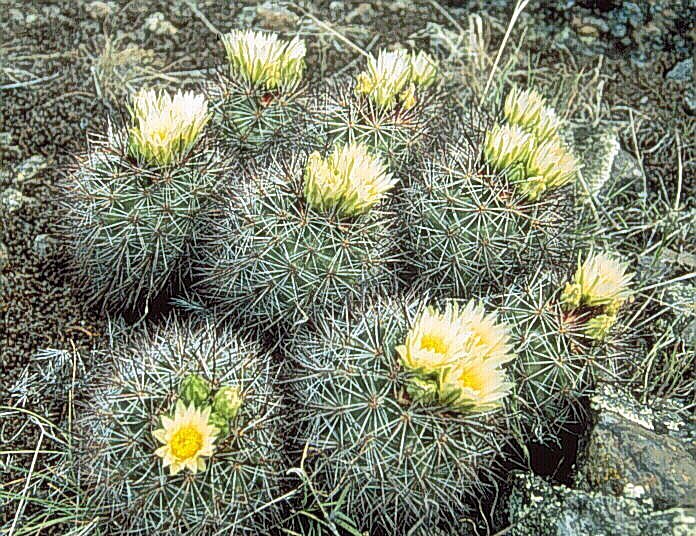 Pediocactus simpsonii var.robustior (Engelmann) L. Benson Cact. & Succt J. (US) 32:19, 1962. Pediocactus robustior (Engelmann) Arp, Cact. & Succt. J. (US) 44:222, 1972. Idaho: fh 9.5, Soldier Meadow Reservoir, 1,360m. fh19, Willow Creek, 1,000 m.
fh 59.1.1, Monument Hill, 870 m.
Pediocactus nigrispinus ssp.nigrispinus, fh 59.0.5, Columbia River, 450 m.